Village Books is a co-sponsor of the Hot100Business Biz Book Workshop, a book group offered by the Small Business Development Center. The meetings are held quarterly at the Fairhaven Branch of the Public Library from 10am-noon. This free meeting/group is for business owners and managers to discuss ideas that help accelerate business growth. Reading the book is recommended but not required. You must make a reservation to participate. Contact Jennifer.Shelton@wwu.edu for reservations. For more information visit wsbdc.org. Forget the old concept of retirement and the rest of the deferred-life plan--there is no need to wait, especially in unpredictable economic times. Ferriss offers more than 50 practical tips, real-world templates, and tools for living like a millionaire. 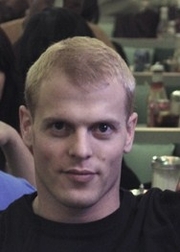 Fast Company's "Most Innovative Business People of 2007"
Timothy Ferriss is currently considered a "single author." If one or more works are by a distinct, homonymous authors, go ahead and split the author. Timothy Ferriss is composed of 8 names. You can examine and separate out names.